The world's longest, fastest roller coaster, the "Yukon Striker" in Canada's Wonderland. Canada’s Wonderland has built the world’s longest, fastest roller coaster, and it’s opening this spring. 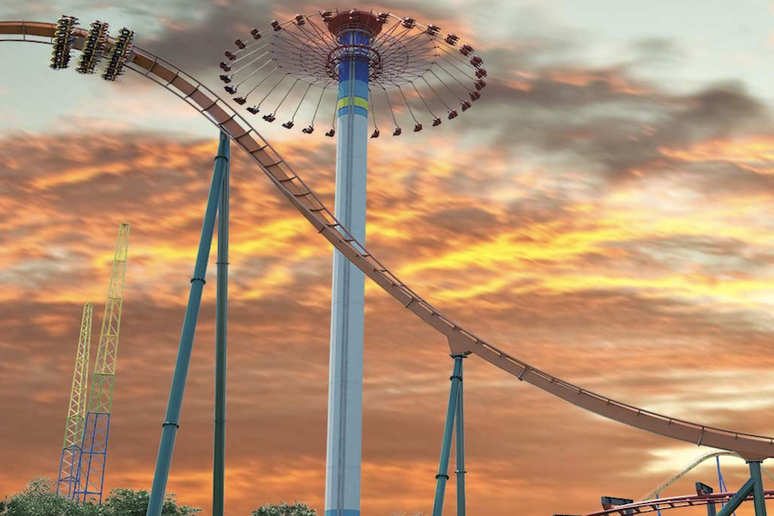 Dubbed, the “Yukon Striker” the coaster is over 3,500 feet long and features some death-defying loops and drops inspired by the treacherous Canadian Chilkoot Trail. According to a press release, the Ontario park's dive coaster — meaning it’s a steel coaster with a free fall drop — will open in May of 2019. The Canada’s Wonderland site boasts that their new coaster holds the world record for fastest dive coaster at 80 miles per hour. It’s also the tallest dive coaster with a drop of 245 feet, and it’s the longest at 3,625 feet long. However, it’s not the steepest roller coaster in the world. That’s in New Jersey! The Yukon Striker will feature a complete 360-degree loop, which the park claims has never been seen before on a coaster of this kind. The whole thing takes about 3 minutes and 25 seconds to ride — which is a pretty long time to watch your life flash before your eyes. The ride might top some of the best roller coasters in America, or possibly even join the ranks of the scariest and most thrilling roller coasters in the world.